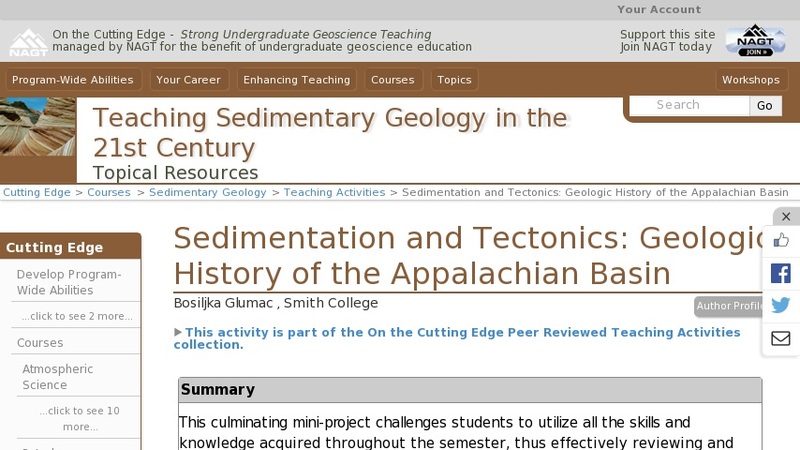 To demonstrate potential links between sedimentation and tectonics students first examine a suite of samples from the southern Appalachians with the goal of interpreting depositional environments and reconstructing a history of relative sea level change. Next, the students compile stratigraphic information for 5 different regions throughout the Appalachian basin and construct burial curves using a sediment backstripping program. The observations and conclusions about sea level change and variable basin subsidence rates are then related to possible tectonic causes to reconstruct the geologic history of the Appalachians.